Since the announcement of the passage of Mercedes-Benz to Honda in spring 2013. McLaren is in a delicate situation with his former German partner. Since the beginning of season Mercedes uses all means to prevent Honda information on its V6. Toto Wolff is convinced that an exchange of information between the future partners and the situation becomes tense. The shadow of Spygate invaded again Woking. The episode, however distant, is widely heard in the press worldwide. A reminder that hurts the image of McLaren, bruised by this sequence of its existence. However, recall the episode largely passing Renault / Mecachrome / Supertec to BMW with Williams over the period 1998-1999. August 1998, Paul Roche is in the garage Williams. He openly talks with Frank Williams and Patrick Head. An observer Mecachrome launch: « they are not hiding even more, this is a BMW-Williams meeting at the summit we are helpless. ». 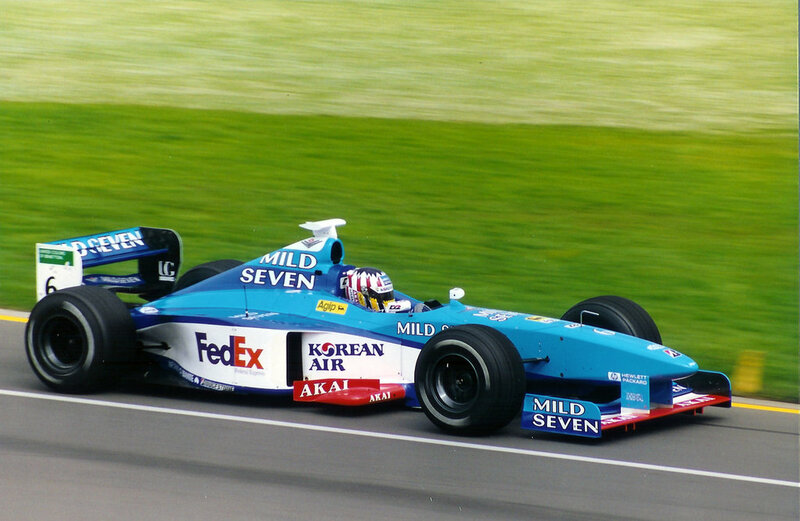 The following year, Williams still had engine Mecachrome (renamed Supertec but similar to 1998) before getting the new BMW engine. In late 2000, the end of the season approaches. A journalist and a team manager discuss OFF on the balance sheet of the season. The subject of new engines arrive and a new German engine enters the prism of analysis. The Team Manager is surprised: « What … are you talking about engine? Would you be the only one not to Thee realized that it is an engine …? » The discussion falls. Doubt is permitted. It is true that no pictures of the German engine was broadcast and especially what first engine (though in the pipes since 1998) was a rather outdated design with an angle of 72 ° (while his replacement was a completely different 90 °). We speak of the BMW engine. While many engineers Renault went to Munich for a period. But this does not explain the first F1 engine designation E41, had nothing to do with the P80 of 2001. Truth is now heard. BMW, like many other manufacturers of the period 1998/1999, did not work on a V10, but a V12. The era was beryllium alloy this miracle to miniaturize engines. But dangerous to handle and expensive metal. Honda had a project, Toyota also (which has delayed the arrival of the manufacturer in 2002) and Mercedes-Benz also for 2001. FIA decided in early summer 1999, the standardization of engines around the concept V10. These V12 were abandoned and builders forced to redefine their studies. Thus the BMW E41 engine is actually a rebadged secretly FB01 Supertec. Everyone knew it. The summit meeting of August 1998 and the fear by French engineers technology transfer for BMW now takes its flavor. McLaren has its own telemetry tools and next year will make comparisons between the Honda engine and Mercedes-Benz this season. Each team does this for 20 years. Mercedes remains oddly communicates. Between satisfaction and fear. His lead is real and welcomes it. But she fears that this advantage is that only one or two seasons. So she invents more of an external threat (Renault Sport in the lead), an internal threat (McLaren) to maintain the pressure of his troops. As totalitarian regimes.